We believe that diversity strengthens us as individuals who work, play, and learn together. We strive to understand and value our diverse world and build a community of mutual respect. The staff at The School in Rose Valley (SRV) aspires to cultivate a community in which all members, regardless of socioeconomic status, race, gender identity, religion, sexual orientation, or cultural background, feel embraced, valued, empowered, and validated. The most recent iteration of the SRV Diversity Committee was formed in an effort to focus on diversity at SRV in an intentional way and to move this work forward. A group of SRV teachers and administrators gathered in the fall of 2016 to embark on this important effort. We were fortunate to be led by a dynamic and organized staff member with a wealth of experience in leading diversity work. The initial meetings focused on establishing ground rules for a safe space for open ended conversations about our personal experiences, biases, and perceptions related to race, culture, and diversity in private schools and our communities. Unpacking and understanding our own biases and perceptions provided a solid foundation for working together. Goals for the Diversity Committee include compiling SRV’s diversity data, examining how the School communicates about diversity, regularly updating the SRV staff about the Committee’s work, developing workshops for the 2017 and 2018 Greater Philadelphia Diversity Collaborative (GPDC) Conferences, and creating a diversity statement. One consistent aspect of the Diversity Committee’s work over the past two years has been supporting the efforts of the GPDC, an organization of small, independent preschool, elementary, and middle school teachers and administrators. With a distinct mission of championing and supporting the work of educators of children in younger grades, the GPDC promotes dialogue and provides resources to schools as they address issues of difference, social justice, and equity. Rod Stanton, SRV’s Head of School, is a member of the GPDC Steering Committee and has prioritized leading SRV teachers and administrators in participation at GPDC conferences. In April, 2018, SRV hosted, “Nurturing Critically Engaged Citizens: Preschool to – Second – Grade Educator’s Diversity Summit.” This event attracted independent and public school teachers and administrators for a day of workshops and high profile speakers. The feedback about this event was overwhelmingly positive and has bolstered the efforts of the SRV Diversity Committee. 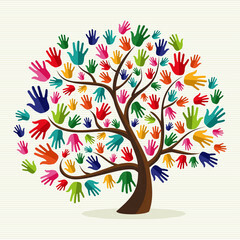 Another point of pride in the Diversity Committee’s work was the creation of a diversity statement to guide our efforts and help communicate SRV’s commitment to diversity with the School and broader communities. The statement was crafted by the Diversity Committee, then shared with and approved of by the SRV staff. The Diversity Committee looks forward to continuing our work together into the 2018-19 school year and beyond to ensure that issues related to diversity and inclusion remain prominent at SRV.